Jeffrey Dennis, 36, was fatally shot by an officer on Monday afternoon. District Attorney Larry Krasner will refer the case of 36-year-old Jeffrey Dennis to Attorney General Josh Shapiro's office due to a potential conflict, according to a spokesperson for the Philadelphia District Attorney's Office. Krasner represented Dennis in 2015 as his lawyer in a drug case in Bucks County before Krasner became the district attorney. Dennis, of Tacony, was fatally shot on Monday afternoon by a Philadelphia police officer during an altercation with multiple officers from the Narcotics Field Unit dressed in civilian attire. The officers were allegedly preparing to conduct a search warrant at Dennis' home on the 7100 block of Cottage Street. According to police, the officers spotted Dennis in his car on Hegerman Street when they used their unmarked police vehicles to block his path of travel. After the officers exited their vehicles, Dennis allegedly failed to turn off his car's engine and began striking the police cars with his vehicle. An officer struck by Dennis' vehicle sustained injuries to his legs, police said. A police officer who was positioned next to the driver’s door fired three shots, striking Dennis in the head and left arm, police said. Medical personnel arrived at the scene and pronounced him dead at 4:18 p.m. Here's the entire police description of the incident. Philadelphia Police Commissioner Richard Ross told an NBC reporter the incident "was a volatile situation and quite candidly we have some concerns about the shooting, too, some of the tactics that were used." "We're looking at it all very, very closely," Ross said. John McNesby, president of the Fraternal Order of Police, released a statement on Thursday about the incident, saying it's “unfortunate” that city leaders are “prematurely second-guessing the tactics of police officers during a volatile and chaotic situation that lead to the death of an alleged drug suspect," the statement read. “In this city, our officers routinely see drug-dealers portrayed as heroes regardless of how many of our children are routinely murdered by drug overdoses,” McNesby said in the statement. Dennis' family lawyer, Lee Merritt, said the case moving to Shapiro's office won't change much, save for the timeline in which he can hand materials over to the family for review. 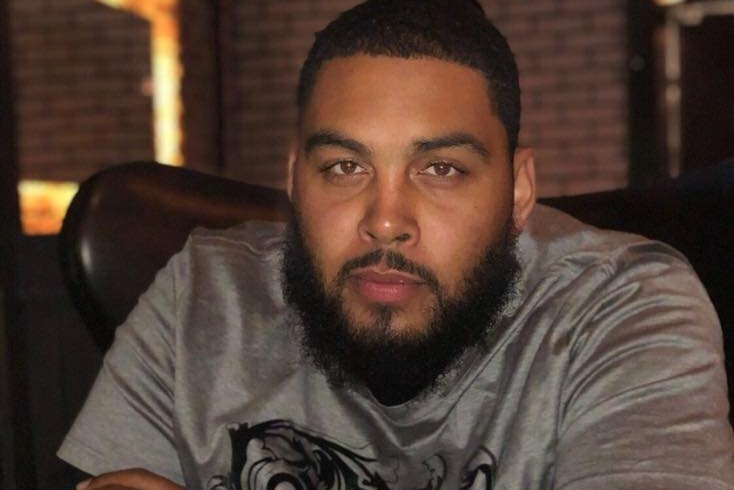 "Right now, we are simply encouraging law enforcement to have an open and thorough and transparent investigation into the shooting," Merritt told PhillyVoice on Wednesday. Merritt and the family plan to conduct an independent autopsy, investigate the background of the officer who shot Dennis, and eventually review the video footage that he said has been obtained by law enforcement from a nearby restaurant. On Wednesday night, friends and family held a vigil and demonstration at the corner of Hegerman Street and Princeton Avenue in Tacony. Blue, white and gray balloons flooded the block and candles were lit in Dennis' honor. According to a statement from Merritt released before the vigil, Dennis was a maintenance employee at Tasty Cakes in Philadelphia and “loved and respected by his family and community.” He was a father of three and was recently engaged to be married. A GoFundMe campaign has been started to cover the family's funeral expenses. "I know that in this audience there's a lot of people who lost people," one family member said during the vigil in a video posted on social media. "I know there's a lot of people who suffered some pain and had some anguish. And somehow or another, you made it through and survived."